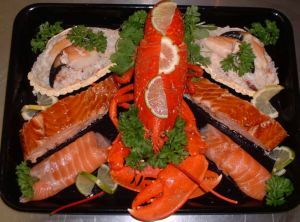 Half a local Lobster, pot of mixed Whitby Crab and pot of homemade Pate (Crab or Kipper or Smoked Salmon). Perfect for those nights when you get in from work and don’t want to cook. NOTE: The dinner will be sent with a random pate from our three delicious varieties (Whitby Crab, Smoked Salmon, or Whitby Kipper) if you have a preference please state it in the comments section during checkout, and we will supply your favorite.